Comfort pad, clip-slip, soft plastic, white, 13.5x12mm. Sold per pkg of 10. Item Number: H20-4143FN Have a question about this item? 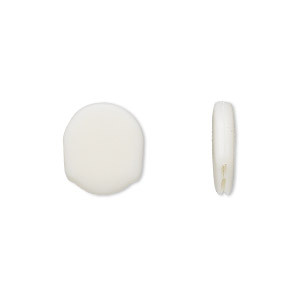 These comfort pad are ideal for hinged clip-on earrings and feature a 12mm pad. Comfort pad, clip-slip, soft plastic, white, 13.5x12mm. Sold per pkg of 100.